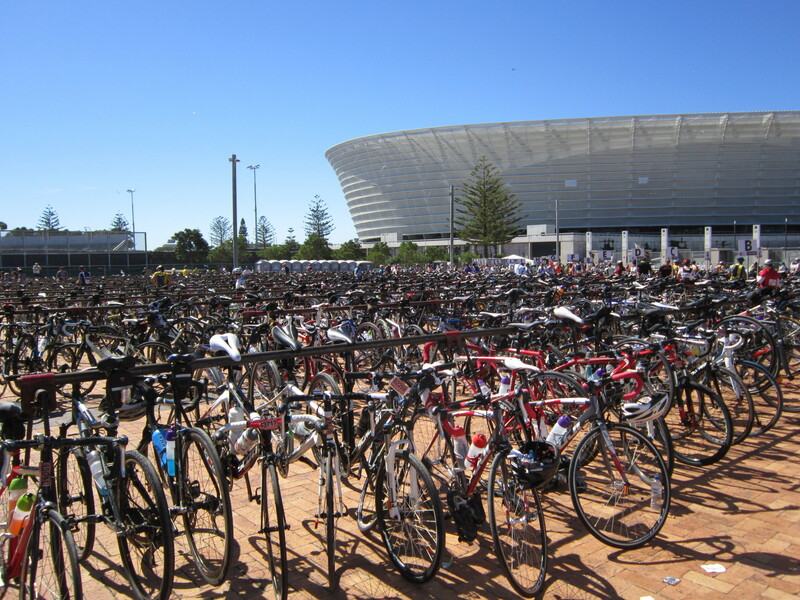 With less than four weeks to go until registration opens for the Cape Argus Cycle Tour 2014, we are busy finalising our programs, confirming our hotel reservations, designing our cycling shirts, and searching for a Tandem bike! Having finally persuaded Mr. K that tandem is the way to go in 2014, I checked with our bike rental supplier in Cape Town to find that the large tandem I have had my eye on since last March was rented for the Argus period just last week! Standard road bikes are flying off the shelves too, so it looks as though it won’t take long for the 35,000 spots to sell out again this year. So, with no time to lose, we have contacted everyone we have ever met in South Africa, and our mission to find a tandem bicycle for the Cape Argus 2014 is officially on! Training for the Cape Argus can be difficult if you live in the northern hemisphere – particularly in the Austrian Alps were it tends to snow from November right through to March, and while we did plenty of cycling in the gym this past winter, we have decided to be more pro-active for the 2014 event. Spinning (love it!) will become part of everyday life from January 2014, and we have added two fantastic training tours to our brand new Cape Argus Cycle Tour – Gold Package, for those who want to get a bit of last-minute training in, before the event on 9th March. An extended version of our Cape Argus Cycle Tour – Silver Package, the ‘Gold’ includes two extra nights in Cape Town, a 53-mile (85km) tour of the Western Cape Winelands, and a second 55-mile (88km) day tour to the Cape of Good Hope. Escorted by a qualified cycling guide, these Cape Argus Training Tours are perfect for international bikers who are travelling to the event from cooler climes, and as they are just a few days before the race itself, we can get a real taste of how race day will be in the stunningly beautiful Western Cape. If we get a tandem, I think we will definitely be going for gold in March 2014, but if left to my own devices, it could well end up being bronze – again! Next Post Cruise Holidays – Do You Love ‘em or Hate ‘em?